The Chindit Society was established to carry forward the proud name of the Chindits – the jungle fighters, who fought two of the toughest campaigns of WWII. 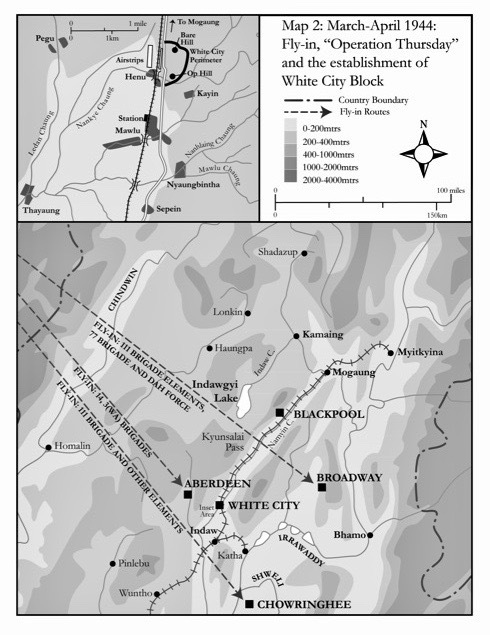 Operation Thursday- The Fly-in and establishment of the White City block. 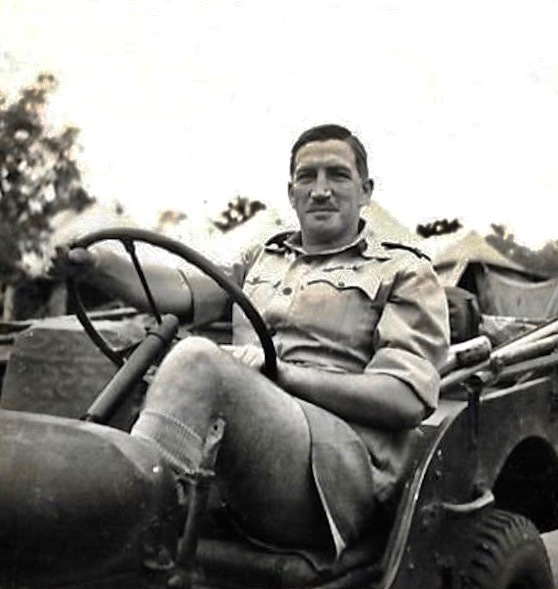 Operation Longcloth, Major-General Orde Wingate’s initial, Brigade-strength incursion into Japanese-held North Burma during 1943, drew much criticism, as nearly one-third of the 3,000 participating Chindits became casualties. Little damage was done to the enemy, but the campaign revealed Japanese exposure to a potentially much larger “Long-Range Penetration” in 1944. This persuaded the Japanese to plan their own offensive, against Imphal and Kohima, and the failure of this plan led to their eventual undoing in Burma, with complete defeat in 1945. 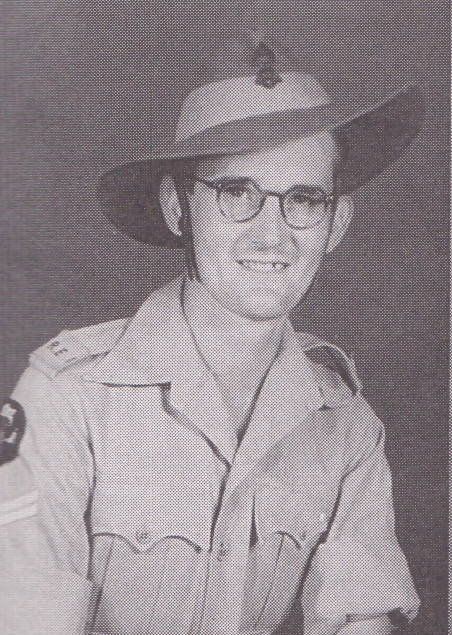 Despite terrible hardships and heavy losses from disease and enemy action, Wingate was satisfied that Longcloth had proved his concept of Chindit-style jungle fighting, with specially trained troops operating behind the lines and depending entirely on air-dropped supplies, ordered up by wireless. Churchill agreed. Over dinner at No. 10 Downing Street in early August 1943, Wingate’s infectious enthusiasm for a second, much bigger Chindit operation convinced the Prime Minister. He took Wingate with him to Quebec, to the “Quadrant” conference of the Joint Chiefs of Staff. The results must have exceeded even Wingate’s expectations. 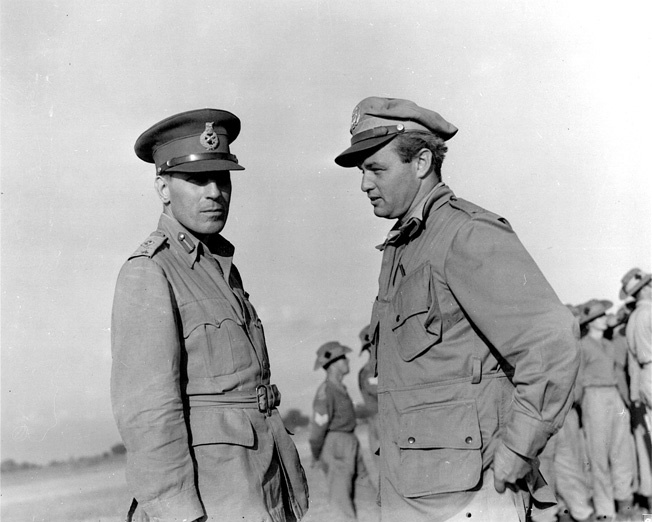 Six Brigades were to be trained in LRP warfare and the Americans offered Wingate his own air force – No. 1 Air Commando – with fighters, bombers, transports, gliders and light aircraft for casualty evacuation. Suddenly, Wingate had the means to launch a huge air landing assault in North Burma during early 1944. He made the most of the opportunity and developed detailed plans for what became Operation Thursday. 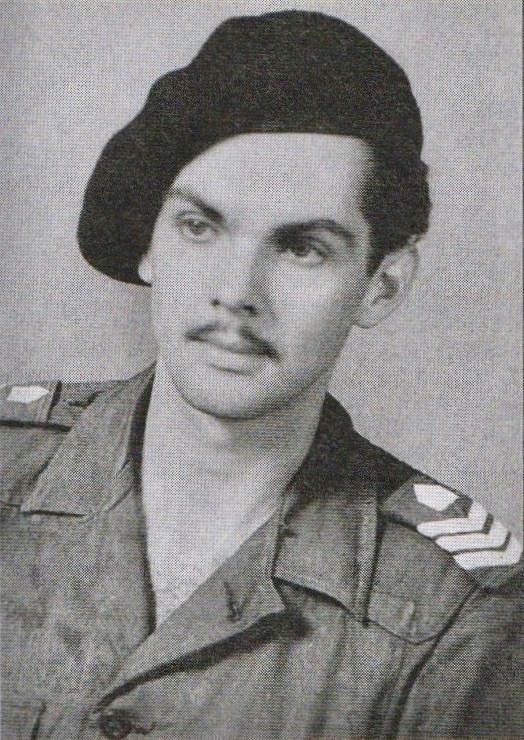 Operation Thursday’s Chindits were known as “Special Force”; five other Brigades joined the original 77 Brigade (111 Indian Infantry Brigade, 14, 16 and 23 Brigades – formed from 70 Division – and 3 (West African) Brigade). Later, 23 Brigade operated against the Japanese attacking at Imphal and Kohima, leaving five Brigades of Chindits for Operation Thursday. They fought as 45 Columns, each with 400-450 men and around 60 mules and a few casualty-carrying ponies. Columns occasionally came together to confront the enemy and then dispersed back into the jungle before the Japanese could concentrate against them. This was Wingate’s original LRP concept, but the availability of No. 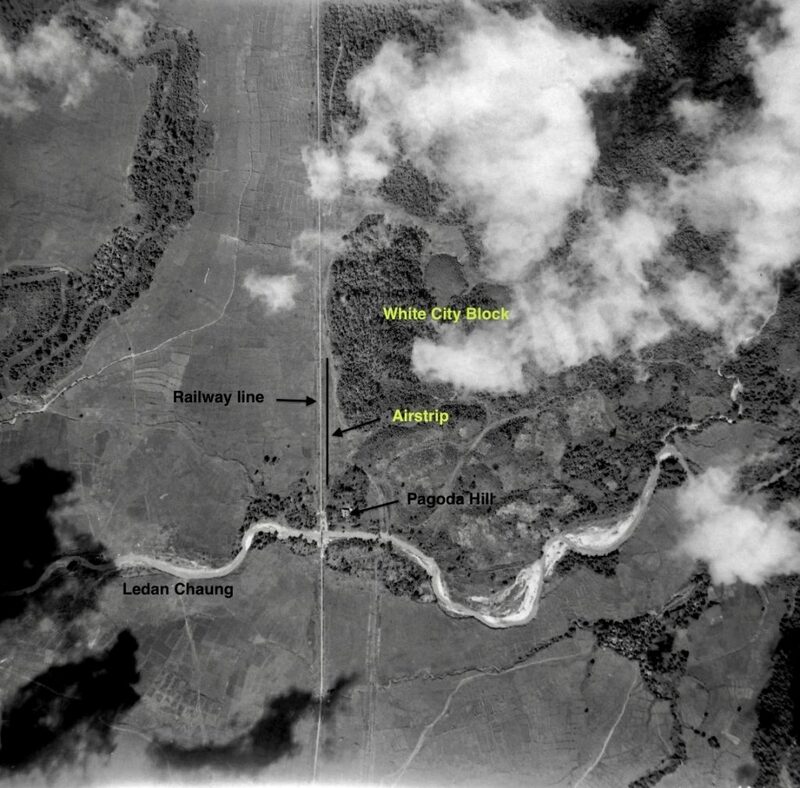 1 Air Commando’s aircraft allowed Wingate to add new concepts: the defended, static “Block” across the main south-north supply road and railway feeding enemy forces in the north and the “Stronghold”, a defended airbase and sanctuary behind enemy lines. The 1944 Chindit campaign, involving over 20,000 men, many of whom had already been battle-tested in the Western Desert, would be a mixture of mobile and fortress warfare. The campaign would also involve other, distinct elements: Morris Force (three columns of Gurkhas), Dah Force (a unit of Kachin Levies) and Bladet Force (glider-borne demolition specialists). 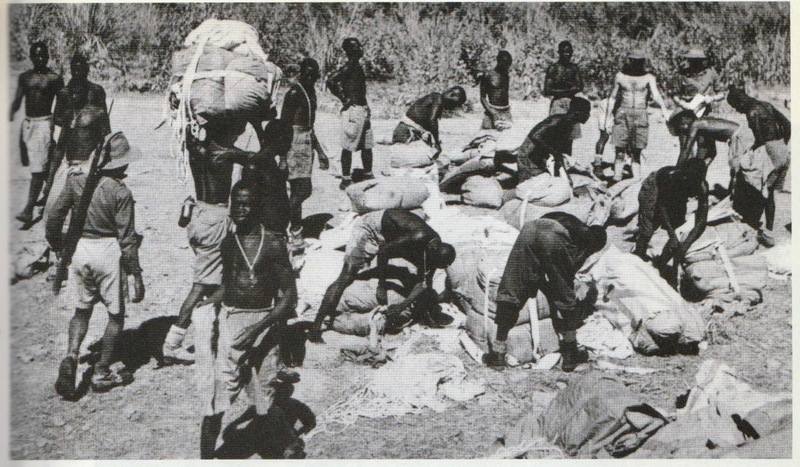 West African Chindits receive an air supply drop. Chindit training was both comprehensive and diverse, demanding extreme fitness and novel combat skills. It focused on march discipline, jungle drills for moving in and out of bivouac, dispersal, compass marching, taking supply drops, night operations, watermanship and river crossings, animal management, first aid, sanitation, individual cooking and a great deal more. Training was divided into four broad subject areas: fitness, weapons proficiency, discipline and welfare. When on the march, tight control was far from easy. A “column snake” of over 400 men and their animals, in single file, stretched back over half a mile. A Sikorsky YR-4 type helicopter. By the second half of January, the men had matured into the role of Chindits. On January 16 1944 84 and 65 Columns (York and Lancaster Regiment) began the five-day “Exercise Steeple”. 84 Column was briefed to assault an imaginary airstrip defended by 65 Column. The location was selected for its inaccessibility. 84 Column was expected to cover 35 miles in four days, including taking an airdrop, making a river crossing and ascending a steep escarpment – all concluding with a night approach march. Meanwhile, 65 Column would make its own approach march and prepare to attack 84 Column, complete with air support. Meanwhile, 1st Air Commando had formed and was training for operations. It was to have a strength of 30 P.51 Mustang fighters, 12 B.25 Mitchell bombers, 100 light aircraft, 12 UC-64 utility aircraft, a fleet of up to 26 C-47 transports and 100 Waco gliders (later boosted by an additional 50). Chindit warfare proved to be a strange mixture of primitive, hand-to-hand combat and mid-1940s high technology. 1st Air Commando took on strength six Sikorsky YR-4 helicopters. Two were lost during training in India but the remaining four flew 23 casualty evacuation operations. A number of Chindits owed their lives to the YR-4. 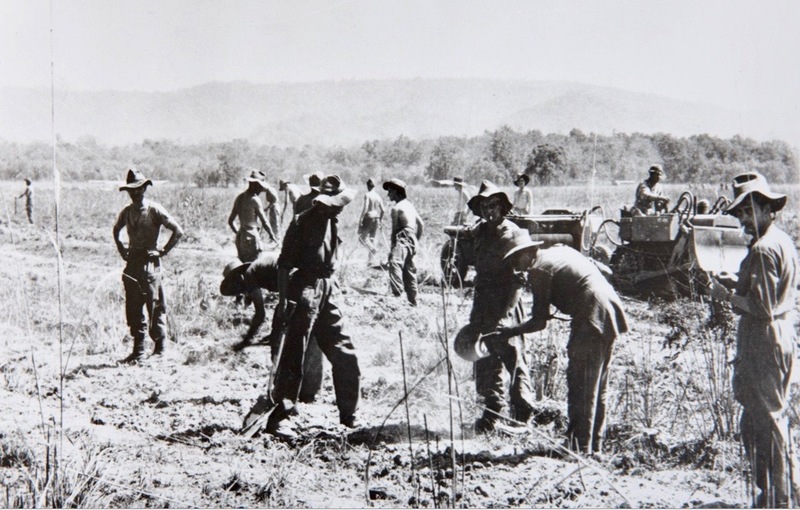 Operation Thursday began on Saturday 5 February 1944, when Brigadier Bernard Fergusson’s 16 Brigade, codenamed “Enterprise”, began its long penetration march into North Burma. It would be a full month before all Brigade Battalions crossed the Chindwin river. The main target was Indaw, although two Columns were tasked to attack the town of Lonkin, in the Kachin Hills and 20 miles west of Kamaing. The march in was a terrible experience; some muddy gradients forced men onto their hands and knees. Some Columns got the mules up by sending them ahead light, then manhauling their loads. It took 45 Column, bringing up the Brigade’s rear, nine days to cover the first 35 miles, to Hkalak Ga. They set out again on February 22 1944. By this time, the men were tiring of K-rations, which gave calories but no bulk. Smoking was confined to lunch and evening bivouacs. The Leicesters were in the lead and reached the Chindwin on February 29. They now faced a river several hundred yards wide (with the jungle-to-jungle distance twice that). Corporal Ted Treadwell of 71 Column: “Mules had to be accompanied when swimming, to hold their heads up. If they went under, they never came up. The Chindwin is a huge river and I was a bit dubious about it, but at least I could swim. When some men began to cross, they encouraged the others to try.” Assault boats were flown in to assist the crossing of the main body. Brigade Commander Bernard Fergusson fretted. It was March 1. He was supposed to be in place, in the Banmauk-Indaw area – around March 5 and 16 Brigade still had well over 200 miles to go. Wingate flew in for a conference and Fergusson told him that his best date for reaching Banmauk-Indaw was now March 20. Meanwhile, 45 Recce’s columns, still in the rear, reached the Chindwin during the afternoon of Saturday March 4. It had taken them 21 days to cover some of the wildest, toughest country on earth. During the first week of March 1944, the main body of Special Force prepared for the fly-in. it would begin with assault glider landings and the large fleet of C-47s and Waco CG-4A gliders was now being prepared at Lalaghat airfield, around 100 miles from the Burmese border. 1st Air Commando’s Mustangs and Mitchells were based at a second airfield, Hailakandi. The fly-in began on Sunday 5 March. Lalaghat was hot and crowded. Alongside the long ranks of aircraft and gliders were hundreds of troops in the advance party, checking weapons and equipment, tending animals, listening to final briefings, loading gliders and struggling to complete other tasks in the final hours before the first wave took off at 17.00 hrs. 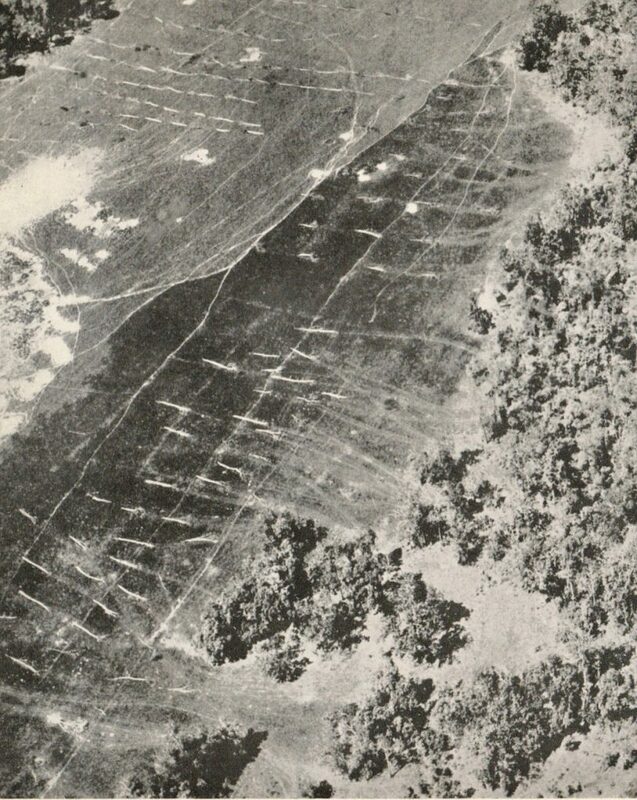 Lalaghat’s graded strip was full, with 83 RAF and USAF C-47s and 80 gliders. The first wave had been allocated 26 tug aircraft and 52 gliders (double tows). Major Neville Hogan. 46 Column Recce commander in 1944. Two large clearings had been identified for the night fly-in, codenamed Broadway and Piccadilly. The first four gliders landing at each clearing were pathfinders, carrying airstrip marker and communications teams. They were warned that they had just 40 minutes to lay out flares to mark the landing zone, with a second cluster directly below the glider release point. After 40 minutes, glider pairs would start to land at two to five minute intervals. The runway construction at Broadway begins. Wingate and other senior officers had an unpleasant last-minute scare. An unauthorised air reconnaissance sortie had produced some alarming images. It looked like the operation had been compromised, with Piccadilly appearing to be deliberately obstructed by huge teak logs. After some desperate soul-searching, it was decided to land all the advance parties at Broadway. (In fact, these clearings were created and used, traditionally, for teak log drying). While Broadway looked free of obstructions, long grass disguised logs and deep ruts caused by elephants dragging out logs for drying. This contributed to the chaos when the Broadway landings began a few hours later. Despite everything, the fly-in began at 18.12hrs, just 72 minutes late. It was soon found that dual-towing of the heavily laden gliders was over-ambitious. They flew on in brilliant moonlight, east towards Broadway clearing – 130 miles behind Japanese lines. The transports’ engines laboured as they fought for height to cross the hills, attached to the overloaded gliders. 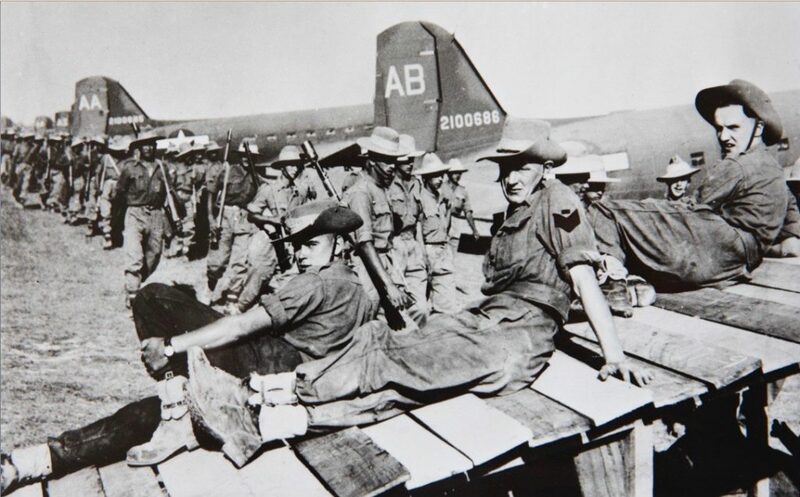 Chindits wait to emplane at Lalaghat. 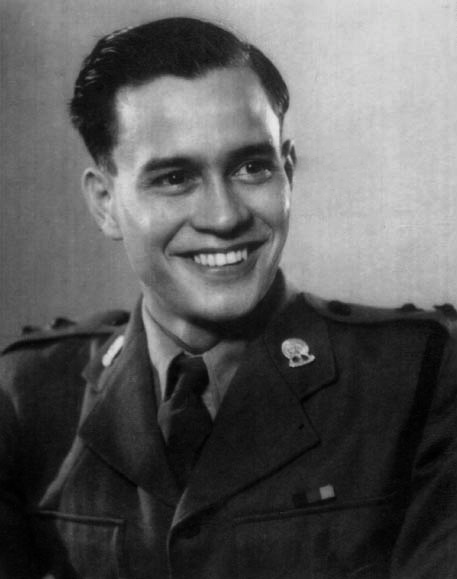 Charles T. Campbell was the Engineer on Major Orio “Red” Austin’s C-47, “Assam Dragon”. They were one of the first away from Lalaghat: “We were pulled into position and hooked up. We were third or fourth in line. We had two gliders, on short and long tow. The pilot of the long tow glider spent the entire flight yawing from side to side. This caused our pilot all sorts of problems. It was a real threat – this could whip a C-47 into a crash. Anyway, Austin, being the man he was, persevered and took them all the way.” They were briefed to return to Lalaghat and then do it all over again that night! Personnel list for Glider 22P. 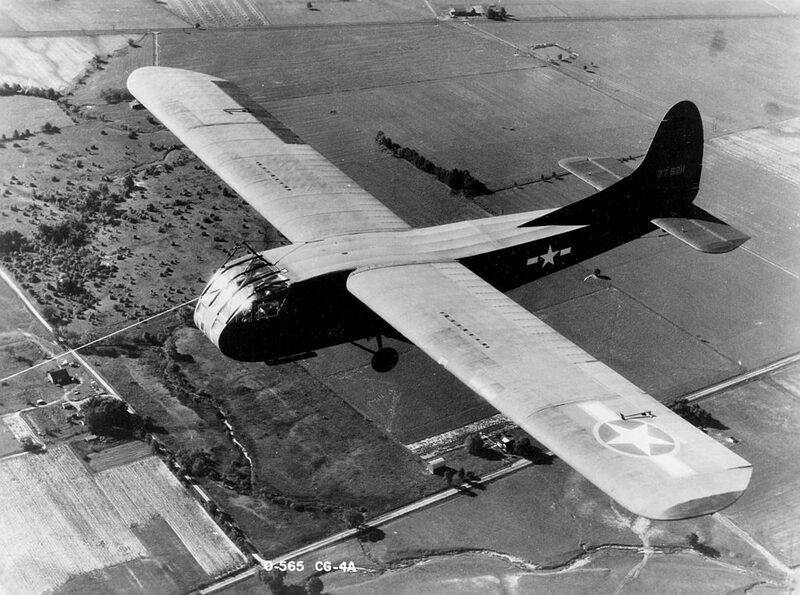 This glider went missing on March 5th 1944 and did not land at Broadway. Corporal (later Sergeant) Peter Heppell, Royal Engineers and attached 82 Column on Operation Thursday. Sixty-six men were lost in the gliders failing to reach Broadway. 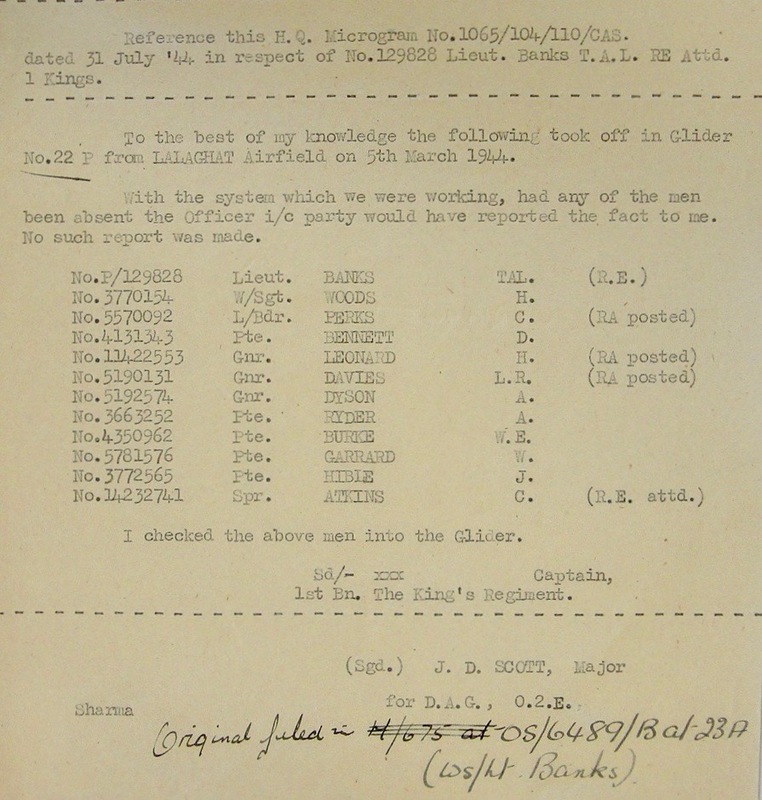 Twenty-three men died and 30 were injured in the Broadway landings. The first wave assault gliders landed 539 men, 29,972 pounds of equipment (including four mini-bulldozers), airfield lighting, a few mules and other gear. At 06.30 on Monday March 6, Calvert sent the success signal, having been much encouraged by the leader of a team of US Army Engineers, who claimed he could have a C-47 strip in action that evening. It was time to set to work, to improve the strip marked out across the clearing. The Chindits organised working parties. They worked by hand, alongside a small tractor and scraper. Meanwhile, light aircraft flew in to begin evacuating the gravely injured. Calvert was heartened to see a grader, jeep, two bulldozers and a carryall now hard at work on a strip 2,000 ft long and 300 ft wide. The major job was filling in the ruts, two to four feet wide, over a foot deep and as hard as stone in the dry season. Broadway was to be turned into a well-defended base. Aerial photograph of the Piccadilly landing ground covered in logs. On March 6 Wingate decided to open Chowringhee, a clearing named after Calcutta’s main street and situated 60 miles south of Broadway. Following the loss of Piccadilly, the Special Force Commander felt uncomfortable about relying on Broadway alone. Gliders landed at Chowringhee, followed by C-47s bringing in Morris Force, 111 Brigade’s HQ and the 3rd/4th Gurkhas Columns. There was no intention of holding Chowringhee as a base; it was abandoned as soon as the landings were completed. Meanwhile, Bernard Fergusson’s 16 Brigade continued to march in, making for Indaw. Over the years, there has been speculation over the reason for going in on foot, taking many weeks, when the bulk of Special Force came in by air, in just a couple of hours, landing fresh and ready to go. It has been suggested that Wingate ordered 16 Brigade to go in a month earlier, as “insurance” against the possibility of cancellation of the main fly-in operation weeks later. By now, 16 Brigade’s Chindits were exhausted and very hungry, as they had put up with the uncertainties of air supply drops for some weeks. On March 12 Fergusson received orders to seize Indaw’s airfield, destroy supply dumps in the area and establish a new Stronghold, to be known as Aberdeen. The Brigade continued south, moving parallel to and west of the railway. At Broadway, the main Chindit Stronghold, work continued to fortify the perimeter against Japanese attack, with anti-aircraft guns, a double wall of wire and dozens of bunkers covered by an interlocking fire plan. Other columns headed for the location on the main railway where White City Block was to be established. 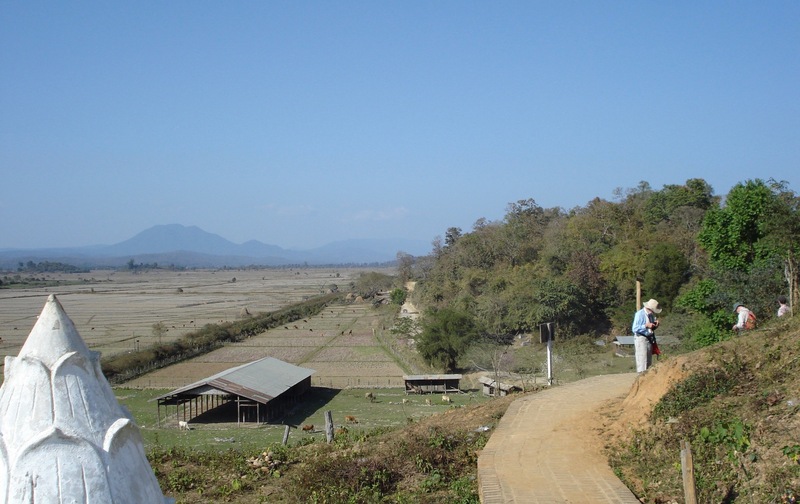 Trekking from Chowringhee, Morris Force Columns headed north-east, to cut the Bhamo-Myitkyina road, as 111 Brigade’s British Battalions marched south from Broadway to link up with other elements flown into Chowringhee. Their job was to stop Indaw being reinforced from the south. White City Block was to be established at Henu. It took several days to reach this village; 80 Column Rifleman Horace Howkins found the going tough: “Our march to White City was very tiring. I got fed up with the K-rations after a few days but liked the cigarettes.” Loimaw Peak, at 4,500ft, was their toughest climb. Broadway’s first serious challenge came on March 13, when Japanese aircraft raided the Stronghold. However, a flight of six Spitfires had flown into Broadway the day before, together with a mobile radar. Four of the attackers were shot down, for the loss of one Spitfire. As Michael Calvert’s main force neared Henu, anxious to block the main road/rail supply line for the Japanese 18th and 56th Divisions, 1st Air Commando took the offensive. They attacked bridges, railyards and supply dumps and did severe damage in raids on three Japanese airfields, destroying 78 aircraft. The Japanese were forced to react when the Chindits blocked road and rail communications supplying their forces fighting General Stilwell’s Chinese divisions. The site for the Block, Henu village, was near Mawlu and about 20 miles north of Indaw. The Block would be manned by the men of five Columns, with a further two columns acting as “floater” defenders – operating outside the wire and with the job of cutting the line above and below Mawlu and giving Calvert more time to set up his defences, then disrupting the activities of Japanese attacking forces. White City viewed from Pagoda Hill (2008). It took around five days to march from Broadway to Henu. The South Staffords were the first to arrive and the Japanese reacted before they could dig in – they would have to fight for the Block. When Calvert arrived, he could see that a feature which became known as “Pagoda Hill” was the key. The Japanese holding it would have to be shifted. The enemy also occupied an adjacent hill to the east. When Calvert came up in the late afternoon he decided on “shock tactics” – a bayonet charge up Pagoda Hill. The Chindits had already taken many casualties and there was a strong desire to get to grips with their opponents. Calvert yelled “Charge” and they ran up the slope, to be met by the Japanese, who charged down. This produced a vicious hand-to-hand struggle in an area only some 50 yards square. The action was successful. A posthumous VC was awarded to Captain George Cairns of the Somerset Light Infantry, attached to the South Staffords. Cairns had his arm virtually severed by a sword-wielding Japanese officer. He had also been bayonetted twice through the side. He repeatedly bayonetted his opponent, discarded his weapon, picked up the sword and continued to fight until he collapsed. The Japanese were pushed off the hill, 1st Air Commando began flying close support. Securing the Block was expensive; Calvert’s casualties included three dead and four wounded officers out of the 14 participating in the charge. Twenty other ranks died and 60 were wounded. Japanese losses were heavier, with 42 dead sprawled across Pagoda Hill alone. It was sobering to consider that the enemy, in this action, was a second line engineering unit! John Hutchin, (80 Column) 1st South Staffordshire Regiment. An aerial photograph of the White City block, November 1944. The Japanese then began to organise, with one Battalion each contributed by the 18th, 56th and 15th Divisions, to form an Indaw-based anti-airborne forces Brigade. One of the three Battalions was diverted to attack Broadway. Spitfire cover was lost after a destructive Japanese air raid on March 18. The following day, Fergusson’s footsore 16 Brigade columns neared Manhton village and prepared to establish Aberdeen Stronghold. The Japanese priority, however, was the destruction of the established garrisons at Broadway and White City.